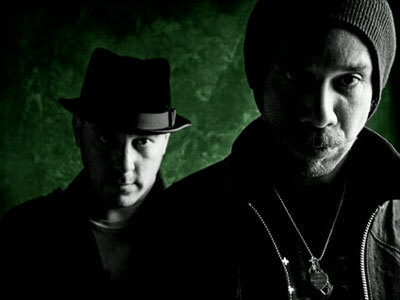 She Wants Revenge Biography, Discography, Music News on 100 XR - The Net's #1 Rock Station!!! 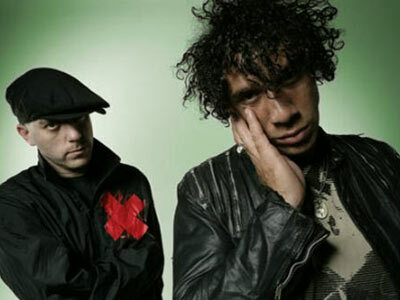 Hailing from San Fernando Valley, California USA, the Alternative Electro-Rock act She Wants Revenge is the brainchild of two DJs: singer + guitarist Justin Warfield and bassist + keyboardist Adam 12 -- AKA Adam Bravin --. Together they opened for the likes of Bloc Party and The Raveonettes and in January 2006 Geffen Records released their self-titled debut album which reached #38 on The Billboard Top 200 chart. They toured extensively through 2006 with Depeche Mode and the first single, "Tear You Apart", peaked at #6 on The Modern Rock chart; this was followed by another Hot Modern Rock top 30 hit, "These Things". The duo's sophomore album, "This Is Forever", was issued in October 2007, it debuted at #58 on The Billboard 200 but quickly disappeared from the chart and the lead single, "True Romance", was practically ignored by radio stations. 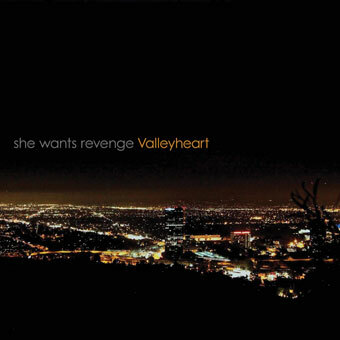 She Wants Revenge's third outing, "Valleyheart", revisited the dark roots of their debut album; it was released in May 2011 reaching the #153 position on The Billboard 200. "Must Be The One" the first single off the disc, failed to dent the charts but its follow-up, "Take The World", went a bit beyond the top 40 of The Alternative Songs chart, at #36.